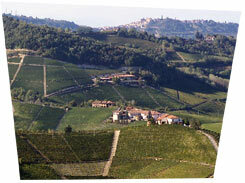 The vineyards owned by the Grasso family are the estate’s greatest assets. The area where they are located has always been considered outstanding wine country, as is demonstrated by the inclusion of our holdings in the map of the finest vineyards drawn up by the great historian, Lorenzo Fantini, in the early 20th century. In the early 1980s we decided to go back to our origins as grape growers, well aware that our work did not stop at the end of the row of vines. We had no illusions that we were inventing anything: we merely wanted to comply with the best in the traditions and work of our predecessors, without any preconceived ideas. The first logical consequence was the decision, from 1978, to vinify and bottle separately grapes from our various vineyards.